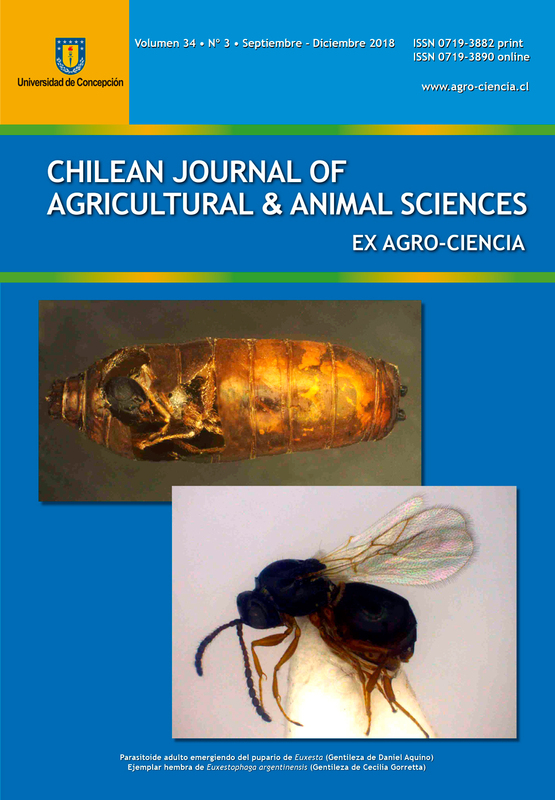 The high-pressure infestation of Helicoverpa zea (L.) in maize (Zea mays L.) in Ecuador led to evaluate the antifeedant effect and laboratory mortality of third instar larvae treated with wáter extracts from leaves of Schinus molle (L.) and Artemisia absinthium (L.) at 100 and 50% of the maximum concentrations obtained, which were applied alone and mixed with Bacillus thuringiensis (Berliner) var. kurstaki (Btk). A field trial was also conducted. In the laboratory, the S. molle extract had an intermediate (45 to 49%) antifeeding effect, while the A. absinthium extract had no effect. At 15 days after application (DAA), the extracts alone or in mixture with Btk caused low mortality (S. molle: 20 to 28%; A. absinthium: 24 to 40%; and in mixture with Btk 33 and 28%, respectively). On that evaluation, the combined application of S. molle and A. absinthium extracts with Btk did not increase the larvicidal effect of the bacteria. The water extract from S. molle applied alone or mixed with Btk significantly decreased (P ≤ 0.05) the number of larvae at harvest, but the damage caused by those surviving larvae did not differ from the untreated control. The insecticidal effects obtained represent new alternatives for the control of Helicoverpa zea in maize. Key words: Antifeeding effect, Helicoverpa zea, insecticidal effect, plant extracts, corn earworm, Zea mays. 2 Universidad de Chile, Facultad de Ciencias Agronómicas, Santa Rosa 11315, Santiago, Chile. Correspondencia: Agro-Ciencia, Casilla 537, Chillán, Chile. Dirección: Avda. Vicente Méndez 595, Chillán, Chile.